A brand-new, single-tenant retail property occupied by The Coffee Bean & Tea Leaf on an initial 15-year term in Rialto has sold for $2.9 mil, or $1,667/sf. The property, located at 1877 North Riverside Ave, traded at a 3.8% cap rate. 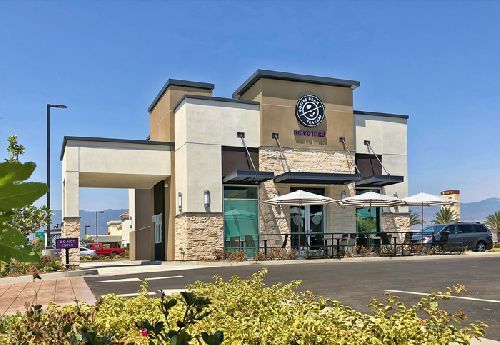 The new construction, freestanding, 1.7k sf The Coffee Bean & Tea Leaf, which opened on July 23rd, has a drive-thru and is located on a 0.48-acre pad at the hard corner, signalized intersection at Riverside Ave and Easton St/Highland Ave, where traffic counts are in excess of 62,000 cars per day. The property is immediately adjacent to the I-210 Fwy at the Riverside Ave entrance/exit. The I-210 Fwy is one of the major east/west freeways connecting California’s San Gabriel Valley and Inland Empire. Bill Asher and Jeff Lefko with Hanley Investment Group Real Estate Advisors represented the seller, Fountainhead Development, based in Newport Beach. Ash Joshi of Capital Realty Solutions Inc in San Fernando repped the buyer, a private investor based in Chatsworth.